This is a seriously overlooked underground classic. 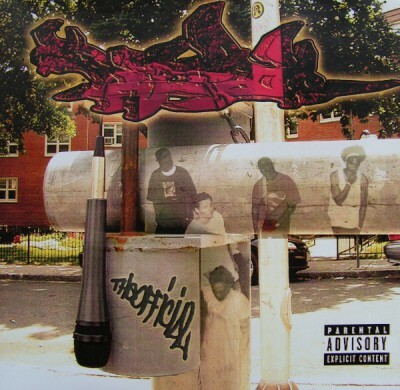 The Official has existed in some capacity since 1993, and this 2005 debut shows that time has honed their skills into an unique style of East Coast hip hop. Grab this if you love hip hop. The Official is a group of rebel MC’s and Producers who banded together due to the love of hip-hop and a mission to keep the art form strong and above all fresh. The Origin and base of operations for the group is Cambridge, MA. The lineup of the team may have evolved over the years but the core members FRIZWILL, SEAN D.O.E.G.H., STR8A, and STRATEGIST have remained, dedicated to the pursuit crafting musical masterpieces. Each individual of The Official brings a unique element to the table. Frizwill brings energy, which he harnesses into a smooth visual focus which immediately grabs the listeners attention. Sean D.O.E.G.H. lets you look through his eyes with the ability to project his vivid thoughts into audio. STR8A is just plain nasty it will be a long while before people catch up with this dude. STRATEGIST all is about creativity taken to the next level, he rhymes with a passion, and intelligence that cannot be matched. EGOIDEAL just stays in the cut and makes beats with MPCS and ACID. comment "The Official – The Official (CD) (2005) (FLAC + 320 kbps)"